Works cited pages are double spaced. Each citation is double spaced and there is one double space be-tween entries. 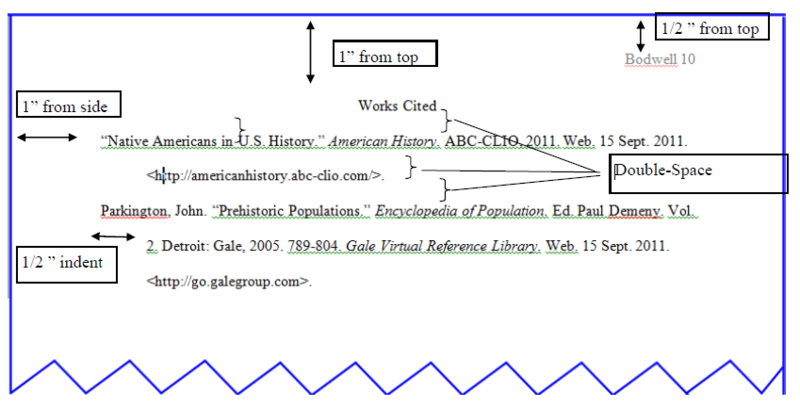 The first line of the citation starts at the left margin and continues to the end of the line. All other lines use a hanging indent, a half inch. Just hit the tab key once to create the indent. If you have more than one work by an author, list the first with a name and replace the name on remaining ones with 3 hyphens (e.g. ---. Stem Cells: The Controversy. . .).